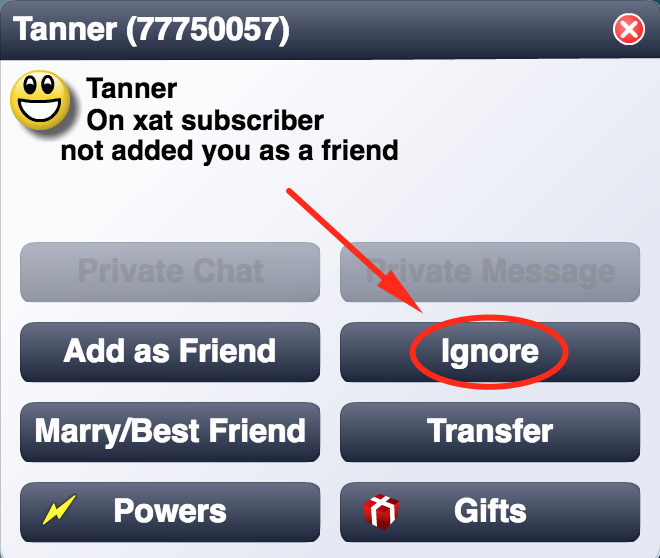 If you stumble upon a user who's making you feel uncomfortable, you may click their name and click "Ignore", or if you are in a private chat with them, type /t. This prevents the user from sending messages to you and unless you're a moderator or higher, you can't see any messages they send in chat. If the chat has any rules against harassment, you may contact a staff member of the chat and report the behaviour. If you find an inappropriate Profile, please click "Inappropriate" at the top right, and fill out the information. If they have an advanced profile (using me power) use the popup menu at the bottom left and click "Inappropriate".